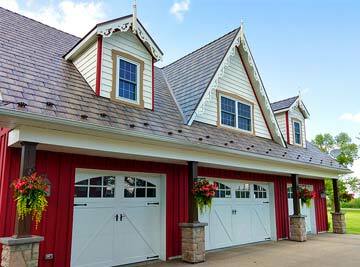 White Echo Ridge A-Buck garage doors complement the style of the exterior. From planning and installation to repairs and routine maintenance once your garage door is all done, Easy Lift Doors is here to make the process of getting your garage door up and running as swift and effortless as possible for you. Get in touch with us and tell us about your needs so that we can give you a free quote. Our experts will gladly help you hand-pick and customize the door you need and make it match and complement the exterior design of your building. You can choose from a wide variety of garage door models, styles, colors, insulation demands, electric openers and window configurations according to your specific requirements. 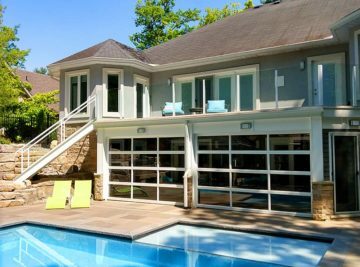 Door hardware is pre-assembled at the Easy Lift Doors workshops and installations are carried out by our work crews of expert technicians who work all across Southern Ontario and the Greater Toronto Area (GTA). They are highly experienced and trained to work promptly in all kinds of environments. Using top of the line parts and seals, along with commercial quality hardware ensures that our doors will stand up to rugged Canadian winters and operate safely for the years to come. But our work does not end there. 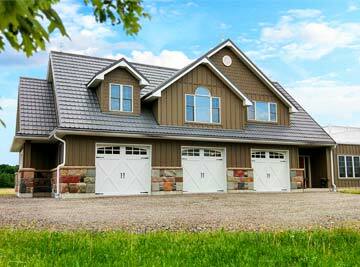 Once your garage door is finished we vow to help you keep it operational and running as smoothly as possible. 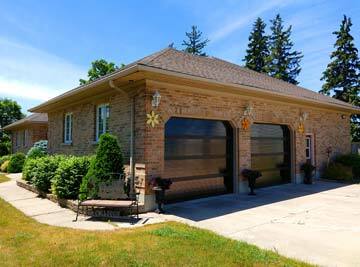 Our work crews can do repairs and routine maintenance of your garage door when you need it. We also offer a large inventory of all the replacement parts (door sections, springs, tracks, cables, hinges, etc.) and accessories for any types of overhead doors and openers. Feel free to ask us for a free quote, schedule a service call with Easy Lift Doors for your existing garage door or let us know about any other needs you have. We happy to help. 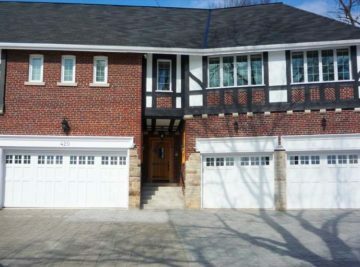 To give you a better understanding of the many garage door panel and window configurations, color options and styles that are available, you can use the Design Your Door planning tool at the website of Richards Wilcox to layout your garage door. 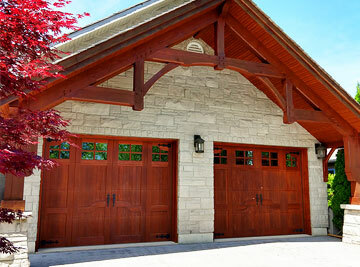 Richards Wilcox is our primary supplier of residential garage doors. The Design Your Door tool also lets you upload a photo of your house so that you can easily preview what your door will look like once installed. When you finish designing your door you can select the experts at Easy Lift Doors Ltd as your preferred garage door installer. If you would rather speak with a person and would like our help designing the doors with you, just call us toll free at 1-800 667 3845 or visit our showroom at 515 James Street South in Saint Marys. We are more than glad to help! Once you have picked the style you like Easy Lift Doors will assemble a hardware set from our large inventory of commercial grade hardware to suit your application. We also use the highest quality aluminium and vinyl weatherstrip colour matched to your door.